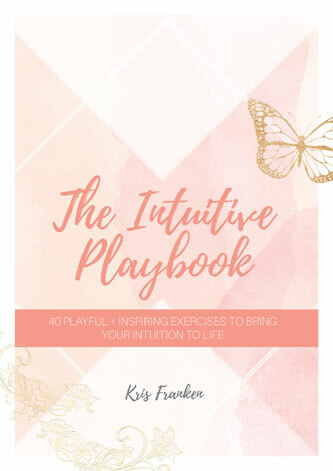 THE INTUITIVE PLAYBOOK is a wholehearted & practical workbook, created to help you develop an effortless connection with your inner wisdom. Your intuition is guiding you all the time, but it’s only when you consciously tune in that you’re able to notice the nudges, whispers, wisdom and signs that are within and around you always. Inside this ebook you’ll find 40 inspiring, everyday exercises that will give you greater awareness into your own wild intuition. From soulful journalling to creative art expression, meditation, self-healing, cooking, pleasure, and so much more, The Intuitive Playbook is a joyful way to appreciate and embrace your wise, eternal self. This beautifully designed and thoughtfully created ebook is all yours when you join my community.